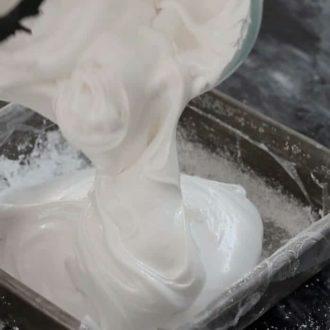 Making marshmallows is so easy and they’re delicious!! To be honest, I don’t even like packaged marshmallows but then I made my first batch and was blown away! 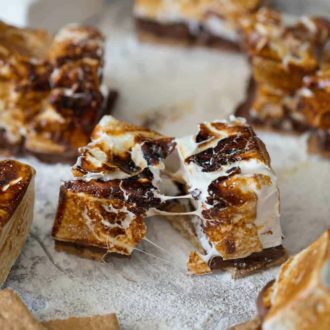 Anyhow I used these marshmallows for the quintessential summer treat, S’mores! 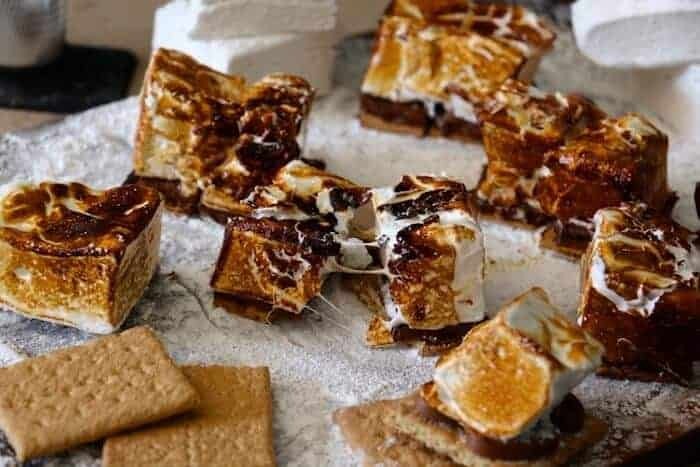 Gooey marshmallows, melted chocolate and crispy graham crackers. You don’t have to torch them but…..
They’re sooo good and totally worth the mess when you eat them. 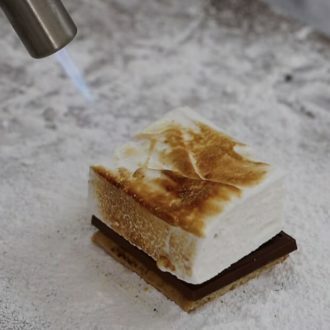 The best s'mores use home-made marshmallows! Using vegetable oil, brush the bottom of a 9-inch baking pan. I recommend a square pan. After, dust your pan using confectioner's sugar. In the bowl of a standing mixer add 1/2 cup of water and 2 gelatin packages. Mix and set aside. In a large saucepan, combine the corn syrup, salt, 1/2 cup water and granulated sugar. Place over medium heat. Bring to a boil. Stir the sugar until it has dissolved. 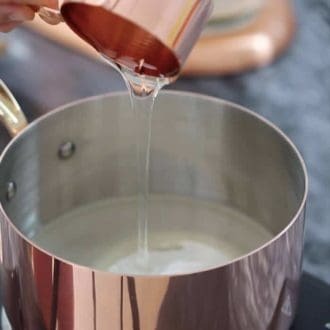 Place the candy thermometer into the syrupy liquid -- without stirring -- until it is at 240°F. Still, allow it to boil. If it begins to foam up DO NOT WORRY! Just turn the heat down and/or remove saucepan from heat until it has cooled slightly. Put the mixer on a low speed. Pour the sugary-syrup liquid into the gelatin. 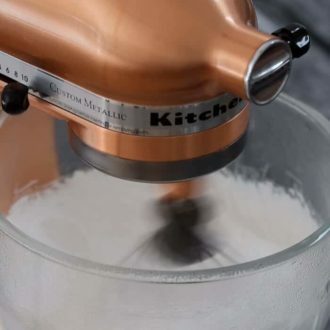 Gradually increase mixer speed to high. Beat until the marshmallow has a very thick consistency. You will know it's ready when it forms a thick ribbon once the whisk has been removed. Wait 5 minutes then beat in the vanilla. Transfer the marshmallow to the pan. WARNING: It will be sticky. Wet your fingers. Spread the marshmallow evenly. Smooth the top. Allow it to sit, uncovered. Keep it at room temperature. When the surface is no longer sticky, pull the marshmallow from the sides of the pan. Give the Marshmallow a minimum of 4 hours to sit. Do not wait longer than 12 hours. Dust the cutting board using confectioner's sugar. Using a rubber kitchen tool (perhaps a spatula) pull the marshmallow from the pan's sides and bottom. Place the marshmallow on the cutting board. Again, dust it with confectioner's sugar. Dust the knife between each cut. Cut the marshmallow lengthwise. Cut around 5 strips. Square them into fourths. It should come to about 20 squares. 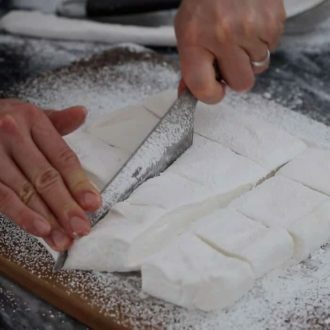 Again, coat marshmallows with the confectioner's sugar. If you are making these marshmallows in advance, they can be stored between layered sheets of parchment/wax paper within a dry container. If stored in a cool room, they can last for around 1 month. 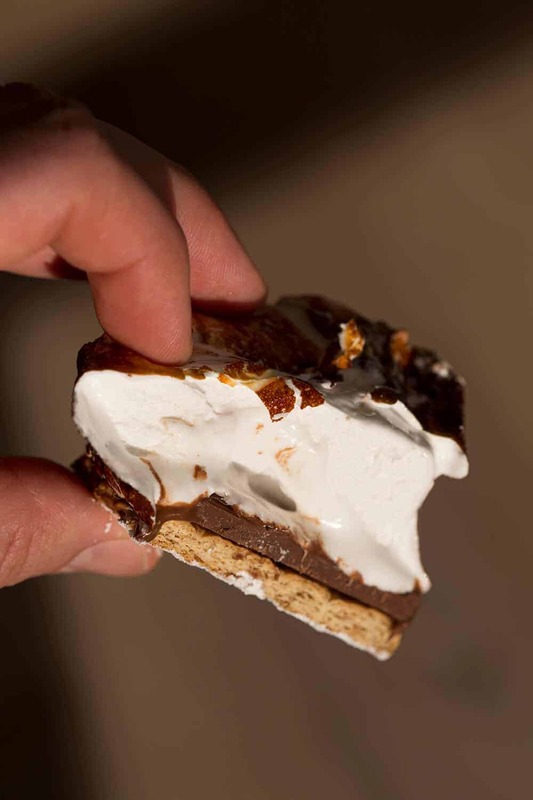 Place chocolate onto the graham cracker. Place the marshmallow atop that. Torch the marshmallow until you achieve an even brown. 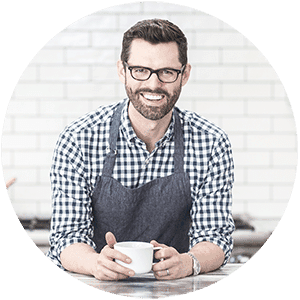 Equipment necessary: Pastry brush; 1 (9-inch) square baking pan; large stand mixer (with a whisk attachment) and a candy thermometer. Replace the vanilla extract with a different flavor extract (ex: peppermint/almond/strawberry). MY KIDS LOVED MAKING THIS!!! SO EASY AND GOOD!! Such a creative spin on a classic dessert! So great.